Safety is crucial for all drivers. Accidents are incredibly dangerous, which is why there are strict rules across the country that prohibit people from driving under the influence. There are clear legal limits for driving under the influence of alcohol, but it is not quite as simple for driving while under the influence of marijuana. To stay safe and ensure the safety of others, it is important for marijuana users to understand the risks and rules of driving after using marijuana. One of the reasons why legislation is so strict when it comes to drinking and driving is that alcohol has a defined legal limit where a person is considered drunk. This makes it a lot easier for law enforcement officials to measure alcohol intoxication in drivers. The typical field sobriety test consists of three tasks. Officers have the driver follow a moving pen with their eyes; balance on one foot for 30 seconds and walk forward nine steps, touching their heels to toes before turning on one foot and walking back. The reason that officers do these tests is because it can identify about 88% of drunk drivers, according to The New York Times. Whether it is someone who rarely drinks or a person who drinks heavily each day, most drunk drivers are unable to pass a field sobriety test. That is one of the major differences between alcohol consumption and marijuana use. People who do not use marijuana often may have a more difficult time passing a field sobriety test than people who use marijuana on a regular basis, according to a study on field sobriety tests for marijuana use. This distinction is important now that more states are legalizing recreational or medical marijuana. To keep roads safe, legislators have to figure out how to measure intoxication when it comes to marijuana use. Breathalyzers that are used to measure the amount of alcohol in a person’s system are not used for marijuana detection. Blood or urine samples are often what is used to detect marijuana, and this is often done after an arrest. For states with legal marijuana, not every state has set limits for the amount of THC in the blood. Colorado and Washington, however, have set a limit of five nanograms per milliliter of blood. A number of studies indicate that marijuana is often much less dangerous than alcohol when it comes to getting behind the wheel. However, that does not mean that marijuana is automatically safe for drivers, particularly when mixed with alcohol. Aside from the potential legal trouble, drivers should take it upon themselves to exercise caution before getting behind the wheel after using marijuana, especially if they do not use marijuana frequently. 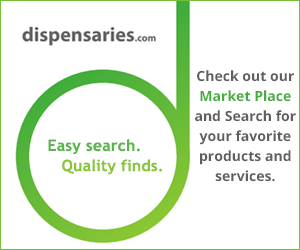 It is also important for people who use medical marijuana to learn about what the rules and limitations are in their states. The bottom line is that marijuana use can impact the skills needed to drive safely, like attentiveness, cognitive judgement and motor skills. So be safe, every time.